We are providing our clients with the finest range of Steel Louvered Windows. 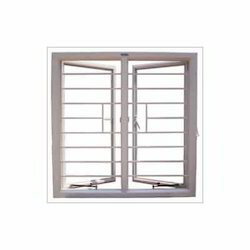 Developed by making use of supreme quality required basic material, these offered windows are provided with safety bars and nylon bushings for hassle-free operations. Furthermore, these offered windows can be adjusted or locked at variegated position as per the requirement. These windows can be provided with hold fasts, anchor fasteners, stiffeners and motor guard. We have made the offered windows available in different sizes, designs and colors so as to meet divergent demands of the clients. 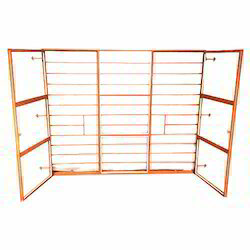 Avail from us a significant gamut of Steel Window. Fabricated by making use of supreme quality required basic material, these offered windows are empowered with several incomparable attributes such as longer serviceability, resistance against corrosion, sturdiness and fine-finish. We are offering these windows in different sizes and designs so as to meet divergent demands of the clients. 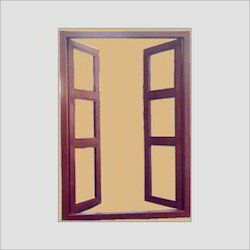 Our Window Frames are manufactured using high quality material and also offered as per the customized specifications. These are available in standard sizes and can also be customized. 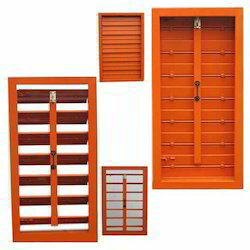 These are available in different sizes, shapes, colors and designs and also at industrial leading and competitive prices. HMPS Windows offered are manufactured using pressed steel section and are made available in CRCA as well as galvanized sheet finish where the provided thickness of sheets can vary from 1 mm to 3 mm as per the specific end usage requirements of the customers. These are also well recognized for providing easy installation and find wide usage in areas like commercial buildings, industrial units, institutional areas and other similar places. Further, our expertise also lies in innovating new designs and finishes on these windows so as to match up with the emerging finished looks and durable functioning requirements of the customers. We are offering our clients with a commendable gamut of Z Section Steel Windows. 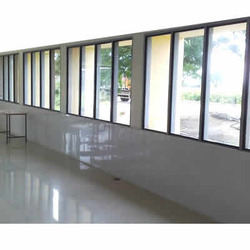 These offered windows are manufactured by making use of supreme quality stainless steel, iron and other required basic material, procured from the accredited vendors of the industry. 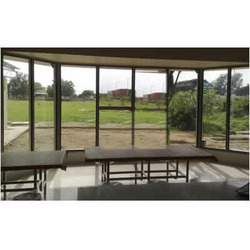 Furthermore, these windows are provided with aluminum bidding for holding the glass, safety bars, MS fittings (lock handle, peg stay, box hinges). Our clients can avail the offered products in both customized and standard forms as per their requirements. Pressed Steel Windows offered by us are manufactured from quality pressed steel that assures in them superior finish stability and durability standards. With the offered range being scratch resistant, anti-corrosive as well as have capabilities to withstand sever water and rough weather conditions, here our expertise lies in making these also available in customized specifications. Some of the benefits provided by pressed steel windows include more economical than wooden windows, resistant to invasion of termites & white ants, requires no maintenance, suitability for double glazing & weather stripping for AC buildings and availability in wide range of designs and finish configurations.